These vulnerabilities are independent of each other. Two denial of service (DoS) vulnerabilities affect software versions 4.1 and later. 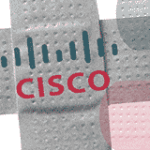 All Cisco Wireless LAN Controller (WLC) platforms are affected. Cisco Wireless LAN Controllers (WLCs), Cisco Catalyst 6500 Wireless Services Modules (WiSMs), and Cisco Catalyst 3750 Integrated Wireless LAN Controllers are responsible for system-wide wireless LAN functions, such as security policies, intrusion prevention, RF management, quality of service (QoS), and mobility. These devices communicate with Controller-based Access Points over any Layer 2 (Ethernet) or Layer 3 (IP) infrastructure using the Lightweight Access Point Protocol (LWAPP). This Security Advisory describes multiple distinct vulnerabilities in the WLCs, WiSMs, and the Cisco Catalyst 3750 Integrated WLCs. These vulnerabilities are independent of each other. Successful exploitation of the denial of service vulnerabilities may cause the affected device to hang or reload. Repeated exploitation could result in a sustained DoS condition. 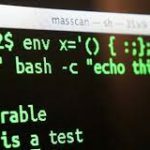 The privilege escalation vulnerability may allow an authenticated user to obtain full administrative rights on the affected system. 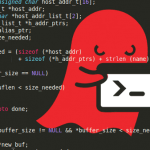 Shellshock: a bug bigger than Heartbleed?